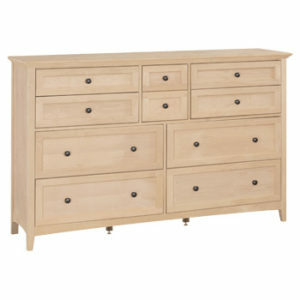 Alder King Shaker Low Chest Bed by Archbold Furniture Company. Beautiful Solid American Alder Hardwoods make up this bed. All drawers are on full extension ball bearing glides. The drawers themselves are dovetailed both front an back. 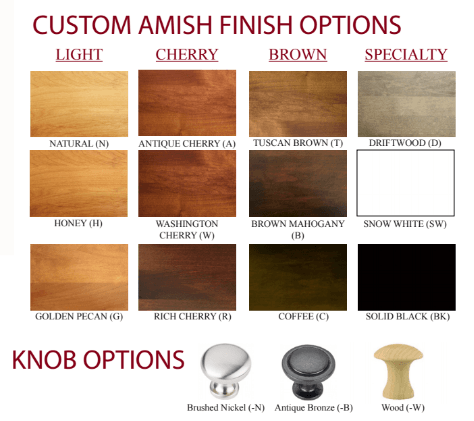 Please choose from the color and hardware options below to create your own configuration. 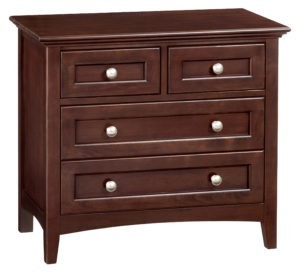 The bed will come with three drawers on one pedestal and the other side is blank with no drawers. This configuration is great for those that wish to place it up against the wall in the bedroom. 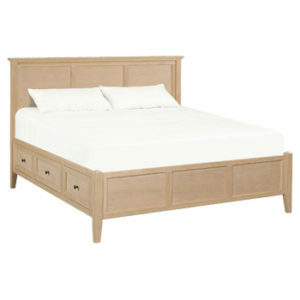 The bed includes a headboard at 49-3/4 inches tall and foot board that measures 26-3/4 inches high. The deck height is 14-1/2 inches tall. The King size bed has four panels on the headboard and foot board. Queen model shown. By choosing this bed over a traditional one you gain not only a bed, but the storage space of up to one small chest of drawers. The bed will take approx 4-5 weeks to build and finish. 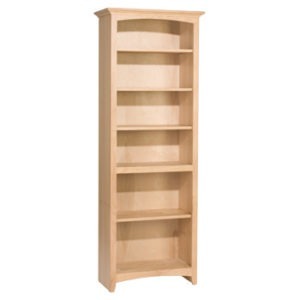 Built in the USA available unfinished or custom Amish finished.